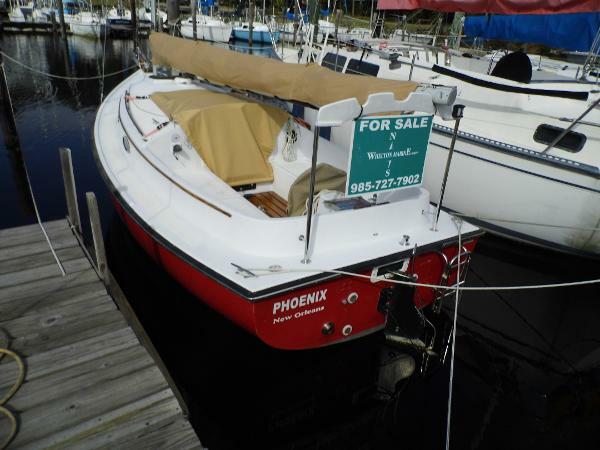 2005 Com Pac horizon Total renovation 2015 including deck and bottom paint.NEW: sail/sail cover/wheel cover/halyards & hatch cover.Marine toilet/ AM/FM/CD with marine speakers &GPS.Cockpit cushions/ 9 hp yanmar diesel - low hours. Factory red hull paint. factory tandem axle trailer.PRICED FOR QUICK SALE! 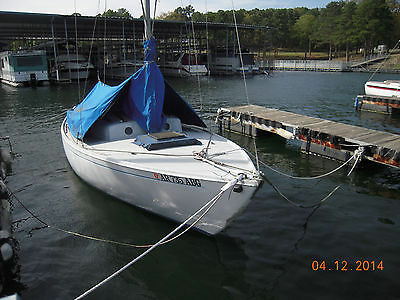 68' Venture 21 sailboat with trailer and outboard motor. 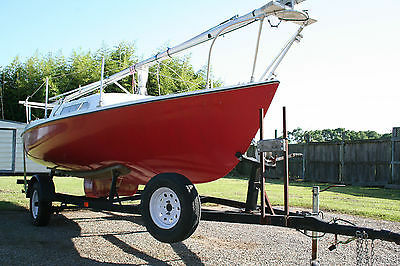 This is a swing keel trailer sail boat with a shallow draft. 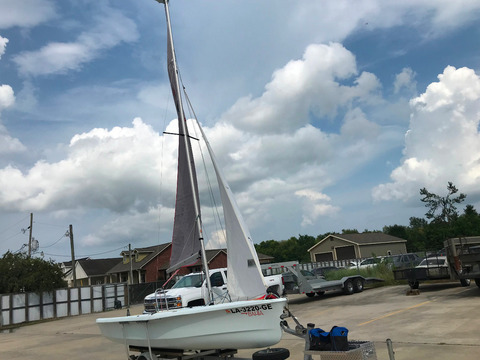 18" with keel up and 5' 6" down. Hull is in good shape and was painted 2yrs. ago. All fittings, mast, boom, rigging , and sails in good shape. A main, working jib , and 150% genoa are included. A mast raising rig is included. Its not original to the boat. I have raised the mast several times alone with it so it works. Though it is much easier with 2 people. Kick-up rudder with 2 tillers are in good shape. A new aux. engine mount was installed 2yrs. ago. Trailer is in excellent shape. New tires,lights, bearings,spare, all in good condition. The coupler extends to help keep your vehicle dry when at the launch. The little cabin stays dry and the door and hatch are fiberglass. Not wood. The keel winch looks almost new. I also have some of the original documents the boat came with. Including a 12 volt Motor Guide trolling motor and marine battery.